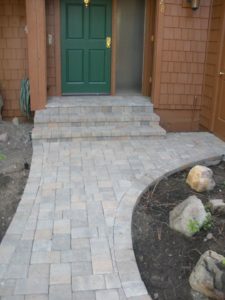 Having a rough idea of the project and being able to explain it to find a paver, or masonry contractor, in a clear and confident manner seems like a good way to find someone who is able to help you accomplish your goal. I would imagine that if you present your design to them they would also be able to give you advice on how easy it would be to accomplish, what types of materials would be best, and whether or not it would work with your yard. The contractor would also probably be able to help you solidify your idea and add any necessary improvements to have the best outcome possible. I like your idea to check for online reviews of a company. I find that online, people tend to share honest opinions. I’m helping my parents remodel their home for their thirtieth anniversary and we’ll need a masonry contractor. Having a vision of what the end result should look like would certainly help you know what to tell your chosen contractor. It could also help you ask about what sort of experience they have in the past and whether or not it stacks up with your dream. References sound like a good thing to look into before hiring someone as well. I am glad to learn that a good contractor should produce a list of references on his website. Knowing that one can request these references is also helpful to know. Interviewing the contractor in person before hiring would be a good idea to ensure that he will communicate effectively with you during the project and answer questions. My brother recently moved into an older home with his family. He wants to build a concrete retaining wall, so he’s looking for a good concrete service to help. I didn’t realize how important it is to schedule an appointment with a service to ensure you are clear on what they are offering to ensure they have strong ethics and a good personality. I’ll be sure to share this info with my brother. I definitely agree with checking previous testimonials before making a hiring decision. My wife and I were thinking about hiring a contractor for our driveway and want to make sure that we have someone reliable for a project that could potentially increase the value of our home. Thank you for the driveway tips! My driveway and walkway are starting to look a little old and beat-up. I think it’s about time to replace them, but I’m not entirely sure of what I want them to look like. What you recommend about figuring out what you want before hiring a contractor is very interesting to me because it could definitely help ensure you hire somebody experienced in that specific task. I’ve been thinking that decorative concrete could be a good option once we have the current one demolished so I’ll have to talk to the wife about it. It really helped when you mentioned how you should take the time to look for a contractor that has experience with the type of job you need to do. I understand that taking the time to do some research and compare several companies can help you find the best one for your needs. We are planning on paving our driveway and want to make sure it is done right, so I’m glad I found your page. I agree that you would want to get at least five references when choosing a paving contractor. It would be smart to consider this to help make sure that you are hiring a qualified professional. I’m looking for someone to help pave a walkway for me, so I’ll have to get several references first. I agree that you need to consider doing a background check on a concrete contractor before choosing them. It would be good to consider this because it would ensure that they are qualified as well as trustworthy. My husband and I are looking for a concrete contractor to put in a driveway, so we’ll have to consider doing a background check first. It’s great to know this about finding a concrete contractor. We want a patio put in soon, and concrete is the way to go. I’ll definitely talk to some of our friends and neighbors to see if they have recommendations. First, I’ll have to see who has a concrete patio! I agree that you need to consider the references of a concrete contractor before choosing them. Finding someone who is qualified and well-liked would be ideal. My husband and I are looking for a concrete contractor, so we’ll have to consider their references first. I agree that you want to find a masonry contractor with at least 5 references. It would be smart to consider several different references so that you get a good feel for how qualified they are. My husband and I are looking for someone to help put in a brick walkway in our garden, so we’ll have to contact their references first. Thanks for pointing out that you should look for other references, at least five from the contractor. The bricks on one side of my home are cracking and not looking good. Your tips should help me find someone who’ll be able to do masonry repairs for me. It sure was nice when you said that a person can screen potential masonry contractors by seeking the recommendations of those that they trust, like friends, coworkers, and family members. I guess I can give that a try since I am aware that a few friends have come to need the help of a masonry contractor in the past. Hopefully, this tip works as I need a part of the foundation repaired immediately. Thank you! I do like your idea when you said that once the person finds a few contractors that they are willing to consider, the next step is to get in touch with them to hear what they are offering. That seems to be one good way to determine if the masonry contractor really is the right one for the job. I will be sure to give this tip a try as I need one to repair a few parts of the foundation. Thank you for sharing this. Of the things that you said, what caught my attention was your suggestion of asking the masonry contractor for references to their previous clients and that they should at least provide five of them. I will be sure to take note of this as I need a contractor to repair a few parts of the house next month. Considering that the job is not as affordable, I want to ensure that I hire only the most reliable. Thank you for the tips. I really appreciate your tip to look for a concrete contractor that has positive online reviews. Thanks for your comment about how you should look for contractors that have a lot of experience too. My sister and her husband want to hire a concrete contractor to touch up their driveway; thanks for the tips. Thanks for the tip about considering checking a paving contractor’s website before hiring them. It would be good to consider this because it would show that they are qualified. My husband and I are looking for a paving contractor to help repave our driveway, so we’ll have to check out their website first. My wife and I have been wanting to get some paving done in our backyard. I’m glad you mentioned setting up an appointment, because I think that would be smart. I’m going to have to look at a few paving companies and see what we can find! My wife and I have been wanting to put a retaining wall in our backyard for some time. It is quite a slope and it would be for aesthetic purposes as well as safety. Some nice stone is our first choice for the look, but we need a good contractor first. I like your advice on checking online reviews on the contractor before hiring. We need to have a patio put down, so this is good to know. I’ll be sure to start asking friends and family for recommendations, like you said. Plus, I’ll do my own research. We’re hoping to use our outdoor space a lot, so perfection is what we’re hoping. I like when you said that you seek recommendations from your trusted friends, workmates, and relatives in looking for a masonry contractor for your home; that makes sense because they will likely give you the most honest feedback based on their first-hand experience of the service. 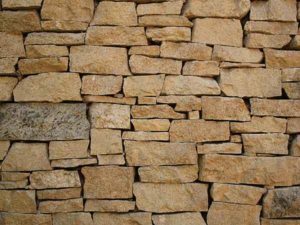 In my case, I was looking for a contractor who could help me turn my home exterior to a stone-type material. I heard that stone masonry makes the home energy efficient so I want to witness it for myself. I’ll be sure to ask for help with my trusted pals and do further checking myself so I can find a reputable stone masonry contractor in the area. Thanks! My wife and I need to redo our driveway this summer. I like your point about getting references from the contractor. I’ll be sure to ask for this so I can evaluate their past work first. Thank you for suggesting that you should make sure and do research on the contractor and make sure they will be able to handle your project. My driveway is in need of work and I want to find the best contractor in my area to repave it. I’ll have to do some research and hopefully, I’ll find the best people possible. I agree that you want to do a background check when choosing a paving contractor. It would make sense to find someone who is qualified and experienced as well. My husband and I are looking for someone to pave a walkway, so we’ll have to check out their background first. I want to get a driveway poured in my yard soon. I haven’t ever worked with a paving contractor before, so I appreciate the tips you provided in your article. I’ll definitely ask my friends and family for recommendations to help me save some time finding a reputable contractor. My house is made almost entirely out of brick and because of its age there are some repairs that need to be made to the brick. This means I need to find the best masonry contractor in my area. Thank you for suggesting that I need to make sure I have a vision of what I want the end project to be before I hire the contractor. I’ll have to keep this in mind as I search for the right contractor in my area. It’s really a good move if I do some background checking as you said since I’m not familiar with hiring a masonry contractor service for a chimney. I do agree that I have to schedule an appointment as you pointed out in order to get to know them together. Since you mentioned that I have to look for other references as well, I’ll make sure to do this before I start my chimney project next February. Asking for recommendations as you suggested is actually a good reason to hire a mason based on what people think on their work regarding patios. Since I do agree that I have to do some background checking on my candidates, I’ll see if any of them are any good at their jobs. If they have enough experience, I’m sure I can look for other references as you stated that they can supply since they should supply me with at least 2 works before I make any decisions on who to pick for the renovation this summer.